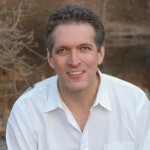 William Powers talks about bringing balance into our digital lives. His book is HAMLET’S BLACKBERRY. And Joanne Cantor talks about how to declutter the digital domain in her book, CONQUER CYBER OVERLOAD. Once upon a time, writing was new tech. Socrates worried that it would debase culture, alienating human beings from each other and cutting them off from nature. Sound familiar? We live in a digital age. But do we have to be ruled by it? Journalist William Powers says we need balance — not reject what we have, but learn to live more intelligently and happily with it. The issue is far from new; Powers says people have been struggling with the distractions of new information technology for 2000 years. 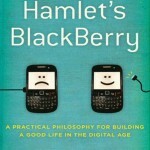 His book, HAMLET’S BLACKBERRY, finds inspiration in how such sages as Socrates, Seneca, Gutenberg, Thoreau and others confronted the new tech conundrum and the solutions they found. William Powers writes about the information age. He’s covered business, politics, and popular culture for the Washington Post and his work has appeared in The Atlantic, The New York Times, The Guardian and other publications. 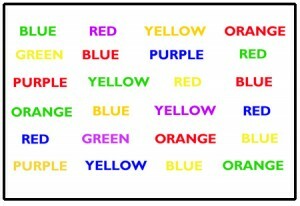 The NYT recently published a report about how growing up with digital media is wiring kids brains for distraction,making them unable to focus on one thing at a time. But it’s not just our kids. Most of us think we can multitask, cramming more stuff into less time. But Joanne Cantor says we’re fooling ourselves . In fact, we’re less productive. We’re becoming victims of cyber overload. In her book, Conquer Cyberoverload, Cantor shows us how to declutter our digital domains and free our minds to become more creative and productive with less stress. 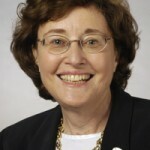 Joanne Cantor is Outreach Director for the Center for Communication Research at the University of Wisconsin–Madison.